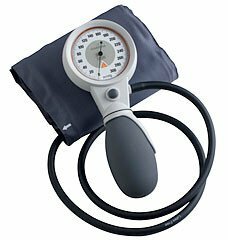 HEINE standard sphygmomanometer with push-button valveCombines all the design and quality features of the GAMMA G5, but with a push-button valve:##Innovative push-button valve. Fine and precise air-release rate adjustment, ultra-fast air-release, practically wear-free. Easy to operate by both left and right-handed users.5 year warranty. **against defects in manufacture and workmanship for a period of 5 years from the date of purchase.